Holy cow! It's a magic field of magical pink and blue horned horsies. This can mean only one thing... 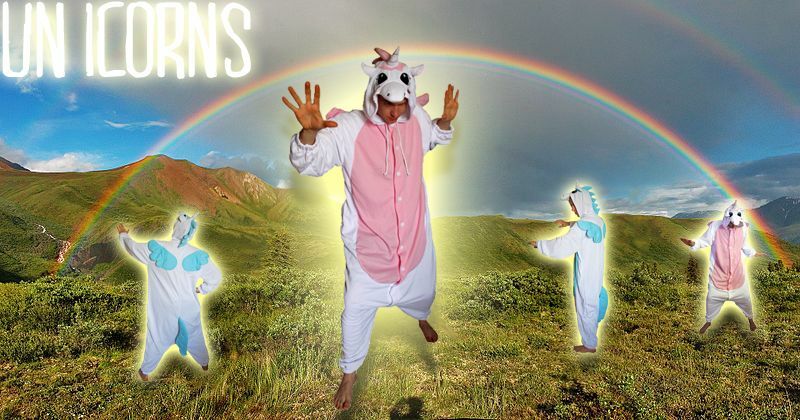 The unicorn kigurumis are back in stock at Animal Costumes Shop. Woo-Hoo! Both are available in 3 adult sizes, and come with pockets, drawstring hoods, horns and wings. Go get the pink unicorn kigurumi and the blue unicorn kigurumi now.